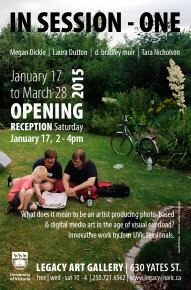 This is the first part of an on-going series of exhibitions over the next few years featuring the artists who work as Sessional Instructors in the UVic Visual Arts department. 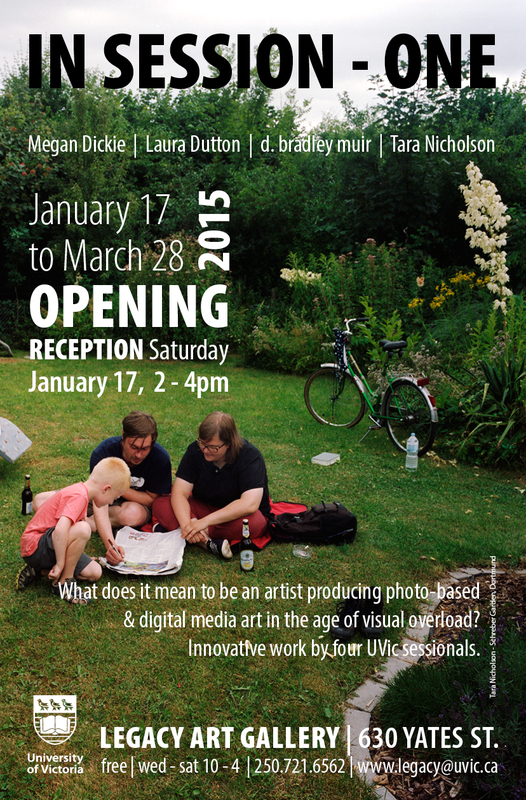 This exhibition looks at the recent practice of four artists who work with photography, video, and digital media arts. In Session – One celebrates the significance and power of photo-based art in an age where social media and advertising threaten to inundate and numb us with visual overload. 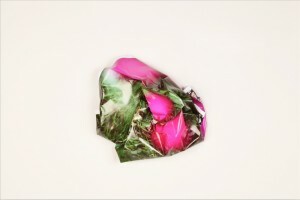 These artists also investigate themes including the relationship between the photographic image and its physicality as an object, light as a material presence, and the time/space/memory relationship of digital media arts. 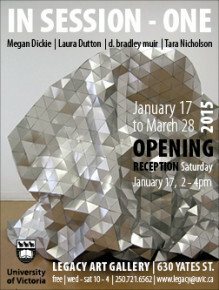 Megan Dickie, Laura Dutton, d. bradley muir, and Tara Nicholson are four excellent artists who also happen to be excellent teachers; this combination of talents is rare, and as such they represent true assets to the Department of Visual Arts at the University of Victoria. We are very fortunate to be able to hire professional artists from within the community to teach on a part-time basis. Sessional instructors enliven art departments across the country with their professional experience. They enable us to expose our students to a much wider array of professional practitioners that would be possible if teaching duties were left to full time faculty alone. Often students do not realize that many of their favourite instructors are in fact successful professional artists who leave their busy studios to come and teach a few times a week. As teachers, these artists are instrumental in shaping and preparing the next generation of artists. Their contribution in this role cannot be overstated. 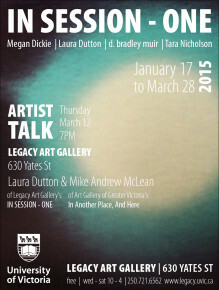 This entry was posted in Legacy Downtown, Online Projects, Past Exhibition, UVic Faculty and Alumni, Visual Arts and tagged Photography, Sculpture, University of Victoria, Video on 28 March, 2015 by .